One of the perks of reviewing restaurants is getting to know the city’s best new dining unveiled in fabulous locations. 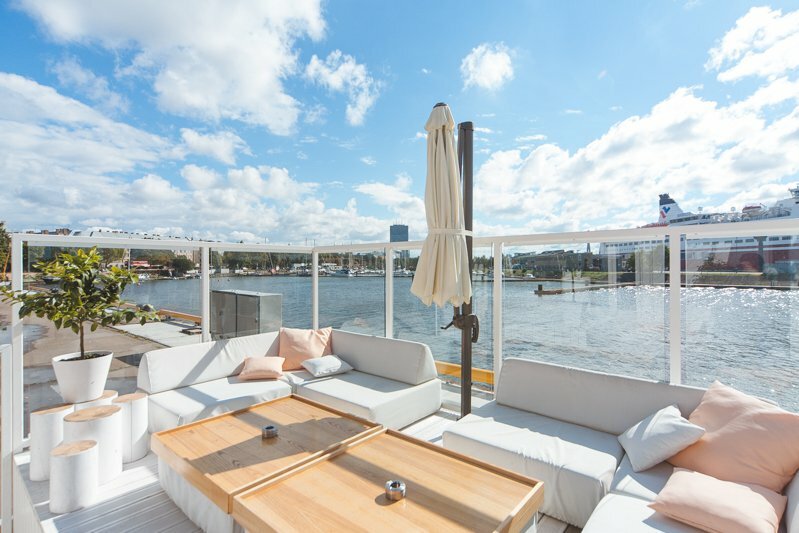 Aqua Luna is particularly special, with an absolutely professional approach to its dishes’ ingredients and service combined with an unbeatable spot by the River Daugava’s yacht harbor and cruise-ship wharf. It’s not the French Riviera, but it’s close. Stunning in sunny weather, Aqua Luna also has a cozy fireside interior with open kitchen for chillier days and nights. Access to the regenerated riverside zone known as Andrejosta is easy by car, but access on foot has not got much easier since the popular nightclub First Dača opened nearby a few summers ago. 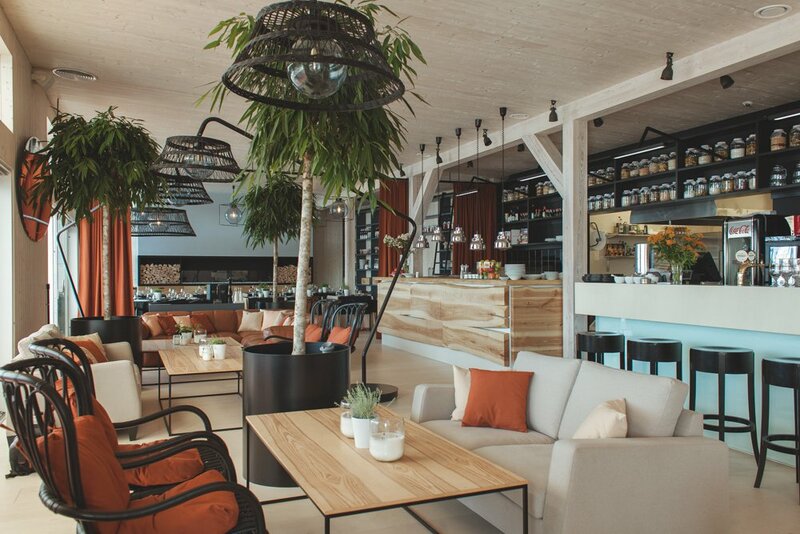 Walk beside the train track at the southern end of Andrejostas Street, turn left into the waterside parking area, and pass the red-bannered spirits and wine outlet. Aqua Luna is a hundred meters further along. 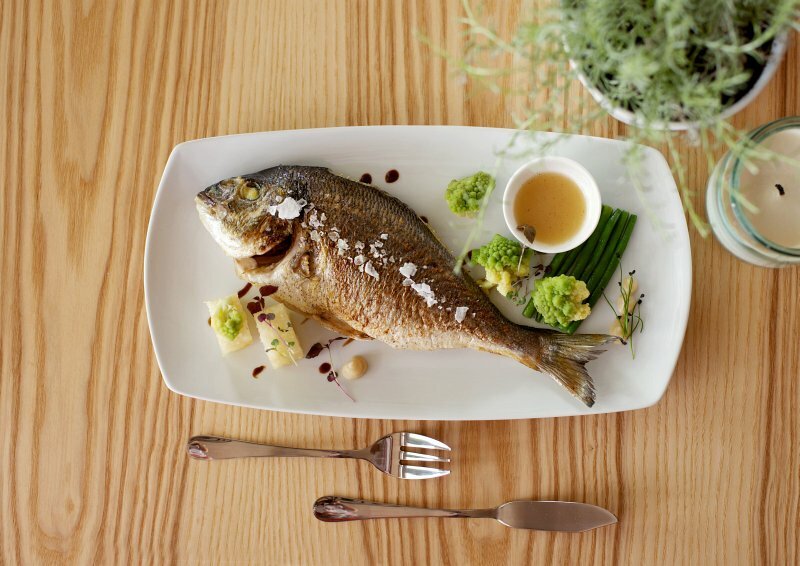 The food at Aqua Luna can be summed up broadly as international and modern. This is not fussy molecular gastronomy, but every dish has an original style, a twist, or is cooked in a way you won’t have experienced elsewhere. There’s an a la carte range plus a “specials” menu that changes every few weeks with three starters, three mains, and a dessert. An Asian touch to the menu provides five kinds of maki sushi, the pick of which is probably the spicy maguro-unagi roll (€17), with freshwater eel, tuna and avocado, and topped with flying fish roe. The unusual touch here is the spicy sauce inside as well as the accompanying eel sauce. Another choice, the aqua roll, has salmon wrapped all around, not just on top, and with other maki crunchy crab and vegetable tempura are squeezed in. Three woks are on offer (€8.50-€11.50), with shrimp and mango, chicken and sweet chili, and beef and oyster sauce. We were delighted with the warm canard salad (€9), just right for a light lunch. 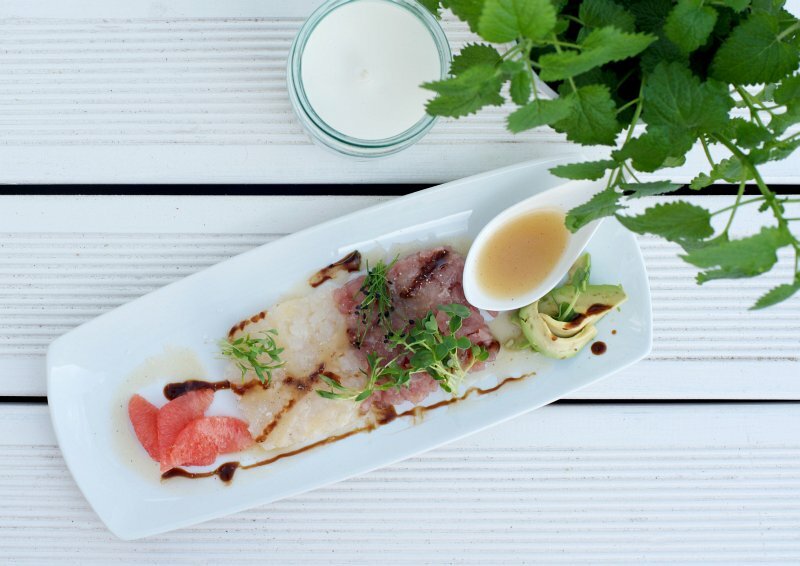 The secret marinade is “different to everywhere else”, we were told, and a layer of juicy fat was intentionally left on each slice, adding to the rich flavor and kabayaki glaze. It was served with tempura rice and lettuce leaves. Homemade breads accompany every meal and their flavor changes on a daily basis. Even the management don’t know what unusual touches the chef is going to come up with on any given day. Another menu highlight, this time among the desserts, is the fresh and ripened Indian mango (€7), served with ice-cream or sorbet. Aqua Luna is not just a restaurant. It also does well as a pre-party bar. In fact people tend to like it so much they choose not to go anywhere else. A DJ spins bouncy soulful house tracks and nu-disco on Fridays and Saturdays from around 8.30pm, and on Thursdays there’s live modern jazz. Waterpipes are nice to recline with, and there’s space to get up and dance. Yachts and ships regularly sail slowly by. Cruise vessels sometimes dock and Tallink’s Riga-Stockholm ferry departs in the early evenings, passengers waving. Fireworks are always clearly visible if there’s a citywide celebration, giving this already romantic location an extra magic sparkle. On the terrace citrus fruits lie on the tables. When the weather turns cold, the tomato and mandarin plants and lemon trees will be replaced with fir trees and, from mid-November, Christmas lights. There’s space inside for private or corporate parties and a comfortable small side room for very private business meetings. Overall the service is impeccable with smartly dressed and attentive waiters and waitresses. We’re already looking forward to our next visit to Aqua Luna.